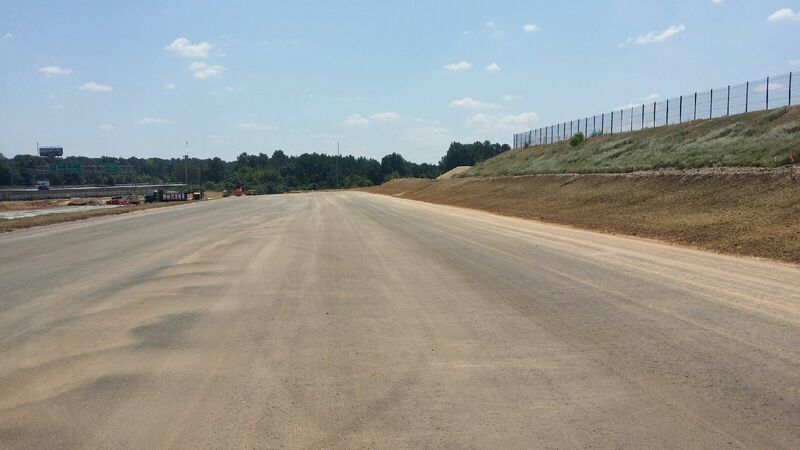 Construction Sweeping [Photos] – Watt Commercial Sweeping, Inc.
We’ve been working with a major construction and development company that is building the new headquarters for one of the world’s top automobile makers. The new campus is at the old GM plant south of Atlanta, adjacent to Hartsfield-Jackson International. 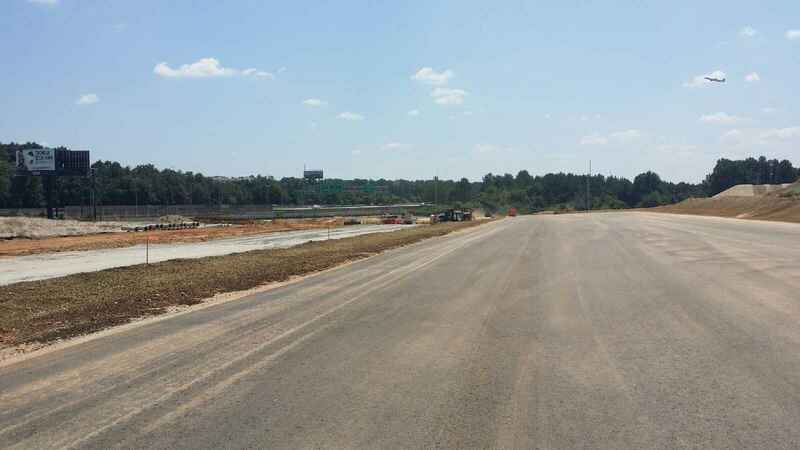 This campus will be home to many of the corporate executives and will also have a test track and off-road type obstacle course. Our task at this site is to maintain the parking garage but as they prepare to finish the test track area they requested our services with this project. For this work we brought out the mechanical, or brush, truck. As seen on the before pictures, the asphalt had an abnormal amount of dirt as a result of the hill eroding over it after rain showers. 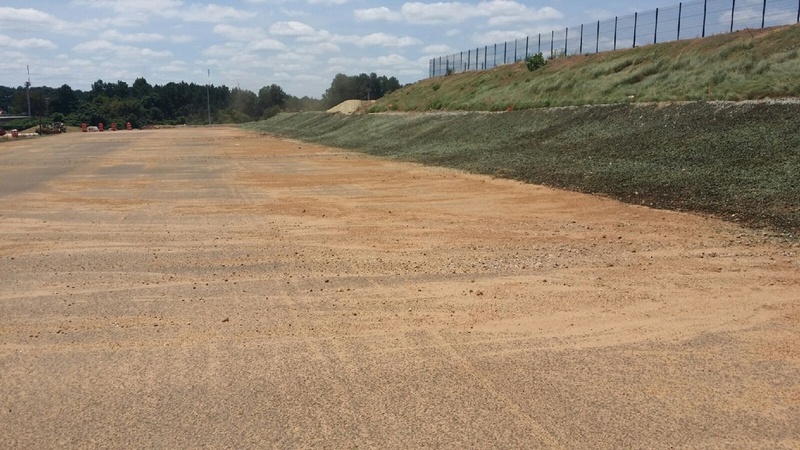 The area was roughly a football field and a half long and maybe half wide, with areas of up to 3″ of piled dirt. After methodically sweeping the parking lot and removing the wash down and build up, we brought over an air truck to fine tune and polish off the area. 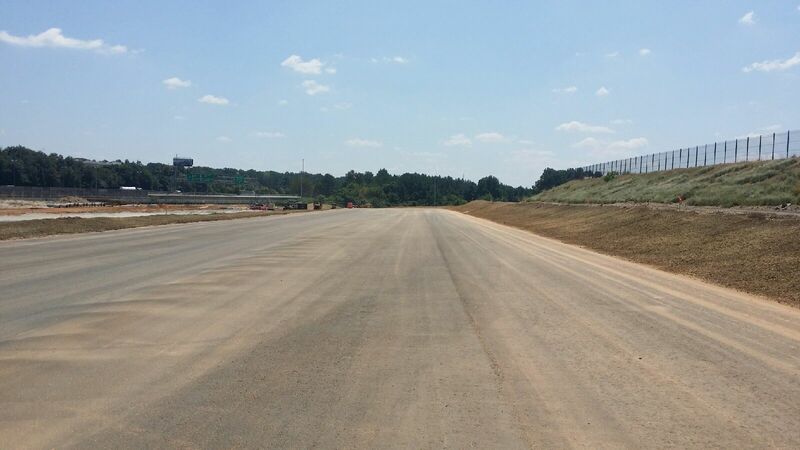 As seen below in the after picture, the only thing left on the asphalt are the infamous stains of the Georgia red clay. 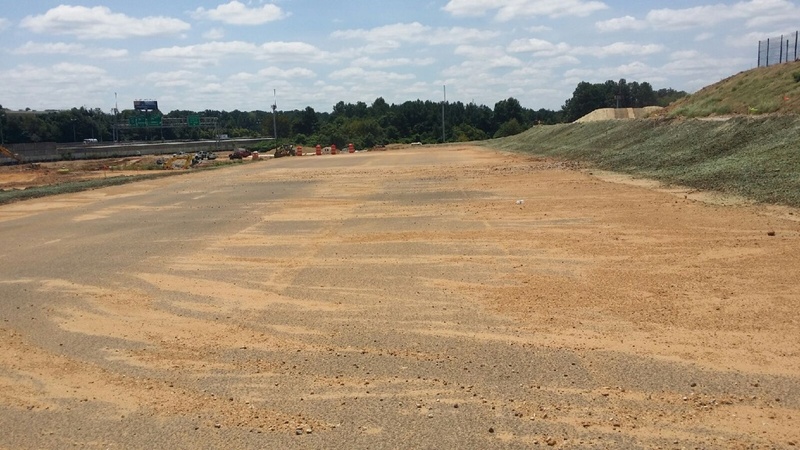 At this point the project manager would have the asphalt washed down, a service we also offer, but because this work was in preparation for the final lift (layer) of asphalt there was no need. 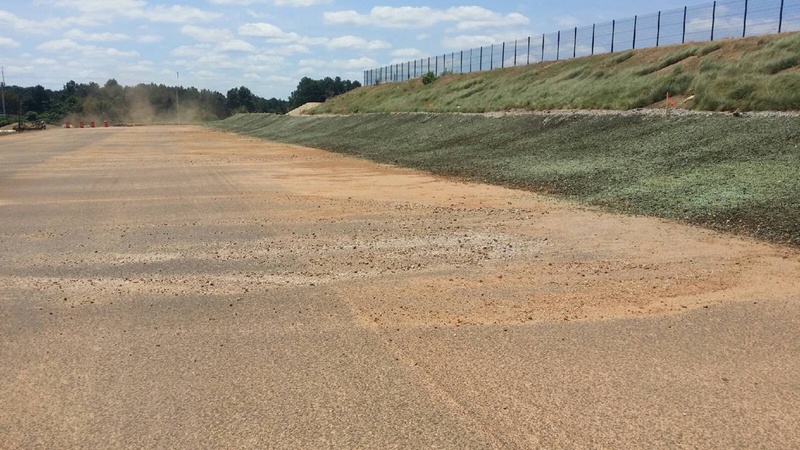 The completed work is a large area freed of a high volume of dirt and left ready for the asphalt crews to come in and make the test track ready for testing some very luxurious and fast cars! For construction sweeping or any other similar clean up services, call us!